The new LOX Slow Beauty Luxury Facial offers ultimate relaxation and floods your skin with wellbeing. Emily Arnold, takes a break from making her way in the world, and discovers a dreamy slow dance of massage, botanical skin therapy and sensory relaxation that seems to last forever. I had been busy; work had been hectic and I had a full schedule. More than full – a schedule that seemed to be overflowing with tasks, meetings and requirements. Stress and anxiety crept in with the resulting late nights, leaving me feeling tired and wired. I was looking for something, a way to carve out some time for me; to recharge my batteries and reconnect with my inner calm. LOX had just introduced the new Slow Beauty Luxury Facial and I was intrigued. After many years of believing in and following the Janesce Slow Beauty philosophy I knew this facial was exactly what I needed. I arrived at LOX excited, wearing my most comfortable clothes and eagerly anticipating what was in store. I was ready to unplug. My skincare therapist, Stephanie, met me in the waiting room and took me through to her room where I got dressed in a soft robe and then was taken to the softly-lit treatment room. Steph started with a brief skin check. Then my facial began. Nestled deep into the covers of the bed I felt a familiar feeling returning, a kind of relaxation only achieved in moments of complete calm. I felt myself detach and drift away. It was a complete sensory experience – the floral fragrance of the plant based products, the gentle tickling of the mist as it fell on my face, the soft strokes along my brow, the relaxing music in the background. Warm oil was swirled around my face with a delicate paintbrush; my neck and shoulders were treated to beautiful aromatic massage. Steph moved down to my feet and applied hot towels, then gave them a gentle massage. Every movement was slow and deliberate, every part of the treatment was perfect. I blissed out and drifted off. A warm compress, followed by yet another aromatic facial massage towards the end began to bring my awareness back into my body. Steph quietly left for a few minutes to make me a cup of herbal tea and allow me time to wake up. As I became more conscious I was astounded – my mind was clear, the stress was gone. 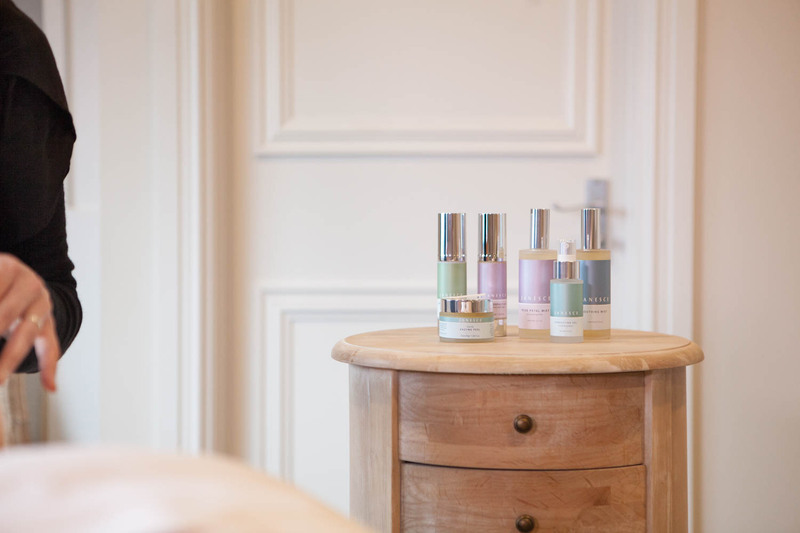 This facial beautifully embodied the quintessential values of the Slow Beauty movement, a movement that has been championed by LOX founder, Janine Tait. 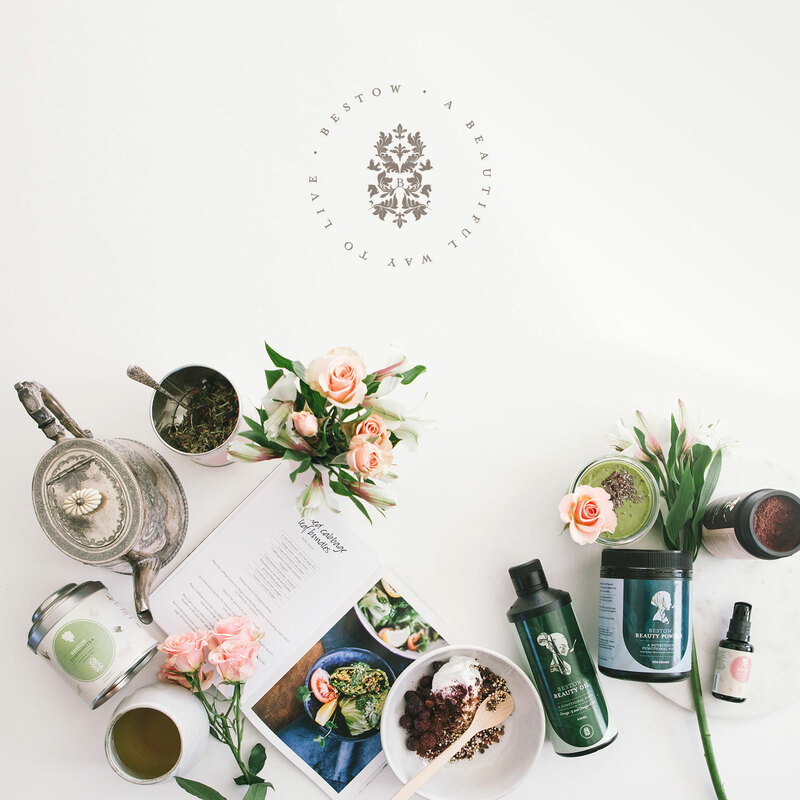 Promoting sustainable, glowing beauty from the inside and out, the Slow Beauty movement finds its roots in a plant-based skin journey that nourishes the skin from within with skin nutrition and which works in harmony with nature and the biology of the skin. No machines, no quick-fixes, no harsh chemicals. Just plant-therapy, touch and wellness wisdom. That’s the Slow Beauty way. 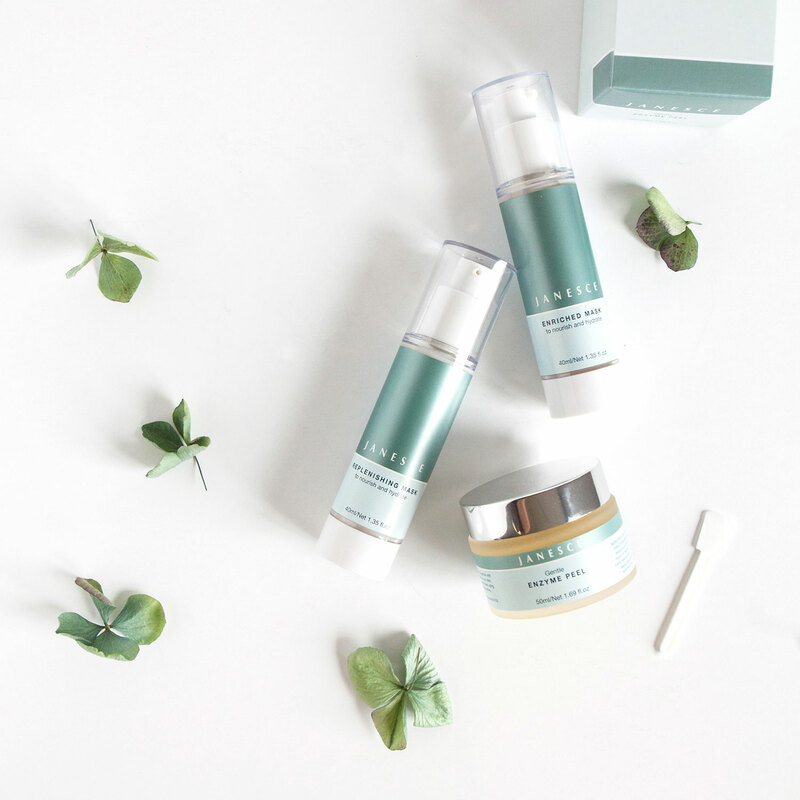 LOX Slow Beauty Facials provide an intensive boost for your skin using the botanical Janesce skincare range. Using powerful, organic plant extracts, Janesce facials are anti-ageing, hydrating and nourishing for skin. Therapeutic skin massage, warm compresses and fragrant botanical oils make these sensory facials a beautiful treat for the soul as well as the skin. Get your skin on track in the new year with the LOX Free Skin-Health Check-Up. 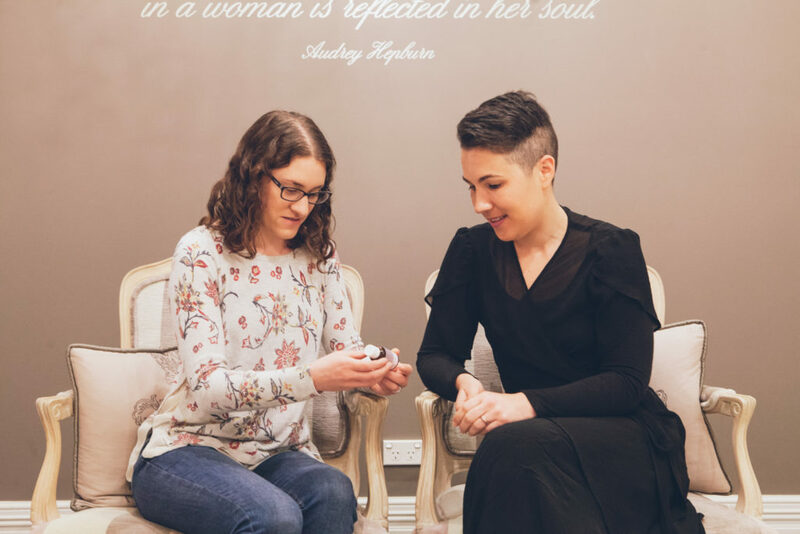 Enjoy 40 minutes with your skincare therapist having a skin assessment, product review and mini-facial and 20 minutes with holistic skin coach, Jenny Barrow, who will educate you about skin nutrition. Emily Arnold put her hand up right away to review this offer and reports back on the experience. It had been a while since I had paid proper attention to my skin and I was feeling it. I had dry bits around my nose and some congestion along my jaw line that seemed to be a constant battle. When I arrived at LOX on a rainy Wednesday, the traffic in the city had been hectic and I was feeling frazzled. I climbed the stairs to the Lox reception room and felt the stress immediately begin to ebb away. I had booked this time out for myself, I had nowhere to be, nothing to worry about. For an hour I could unplug. I hadn’t been sitting for long when Stephanie, my skincare therapist, appeared and took me to a dressing room where I was to change into a beautiful soft robe. I left my phone in the dressing room – my last attachment to the outside world. I was led into Steph’s room where a bed, dressed with a comfortable blanket waited for me. I lay back, cocooned in softness. Soft music trickled in, muffled occasionally by the rain on the roof. Steph began gently touching my face, asking me questions about my skincare routine and concerns. I answered, already feeling myself relaxing under her touch. She had some good advice for me when I mentioned I had suffered from dry skin. She understood my concerns about the sun and recommended I started using Janesce Sun Care Lotion as soon as possible for natural sun protection. She began a mini-facial as the rain lashed against the windows, making me feel cozy and safe. Soft scents floated around me and I forgot the outside world. Steph explained she was doing a simple facial, similar to the routine I do in the morning. Her fingers swirled across my brow, massaging with perfect pressure. I sunk into the experience. I could feel myself falling asleep. At some point Steph gently touched my shoulder, it was time to wake up. My skin felt fresh, hydrated and replenished. I floated into the relaxation room where Jenny Barrow, the LOX Holistic Skin Coach, met me. I had been looking for ways I could incorporate new ways of nourishing my skin into my life and was excited to talk to her. She began by explaining the Janesce philosophy of Slow Beauty the revolution that focuses on healthy, sustainable nourishment of the body and skin from both the inside and out. She also explained that Slow Beauty was not about quick fixes but more a long-term approach that dealt with the root cause of skin issues instead of just the symptoms, ensuring beautiful skin for a lifetime. She asked me what issues I had been experiencing with my skin and talked me through some of the ways I could treat them. She had a quiet wealth of knowledge and explained the internal problems that were leading to my dry, flaky skin. She had some excellent recommendations, including the Bestow Twin Skin Essentials. 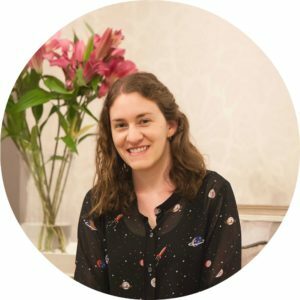 I had also been dealing with some anxiety and asked if Jenny had any advice around a food/mind connection. She explained the connection between gut health and mood and suggested I incorporate more probiotic foods into my diet. Nothing felt unachievable or overwhelming. These were small steps that would be the catalyst for big changes. I went back to work feeling refreshed and revived, armed with new knowledge that would help me to nourish and improve my skin. The wisdom and experience the Lox therapists possessed blew me away and left me excited for a healthy, glowing future. If you are an existing LOX client contact Robyn to book in for your FREE Skin Health Checkup during February. Ph 571 3443 or info@lox.co.nz. When she turned 30, Rachel Hart decided it was high time to start looking after her skin. 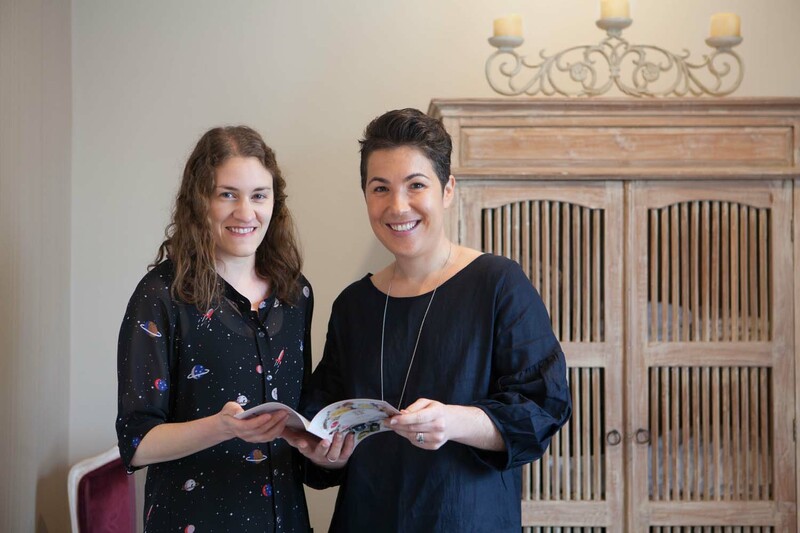 She embarked on the six-week ‘Good to Glow’ skin coaching programme with Jenny Barrow at LOX Holistic Beauty and discovered that caring for her skin equated to caring for herself. One year after politely declining her first facial – afraid to tempt fate right before her wedding – she booked in for a LOX Signature Facial. A year ago, I was too scared to get a facial. If you’ve been following my Good to Glow skin coaching journey, you already know that before stepping into LOX Holistic Beauty in Greerton, my skincare routine could only be described as…basic. My Lox Skin Health Coach, Jenny Barrow, has since opened my eyes to the joys of taking care of my skin and, and as part of the Good to Glow programme I am rewarded with, and now ready for, my first ever facial. 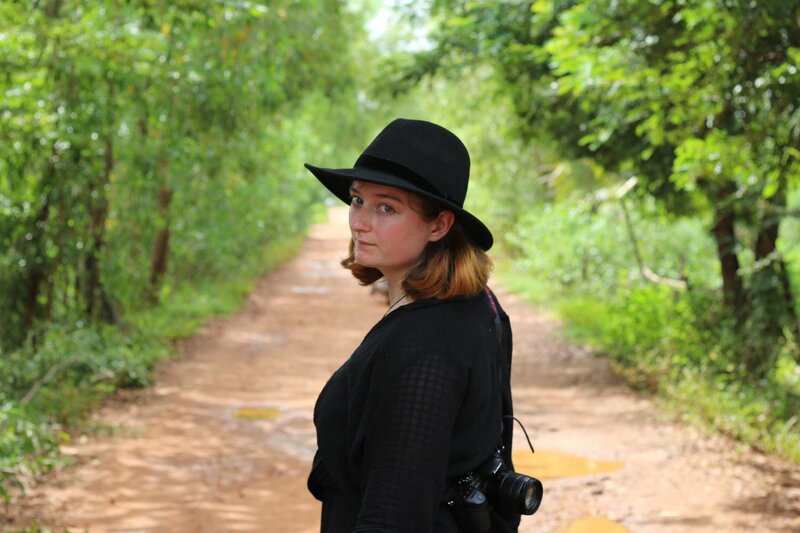 Unsure of what a facial actually involves, I headed to YouTube where I viewed a spectrum of videos, from ten-dollar DIY treatments to luxury thousand-dollar truffle-infused experiences complete with limousine transportation to and from the Spa. I am no fan of truffles but a limo certainly sounded appealing. Instead I hopped into my ageing Toyota and drove myself to Greerton. Stephanie, my LOX beauty therapist, quickly examined my skin, patiently answered my questions and described what was in store for me. I tried to envision the process – cleanse, soak, mist, enzyme peel, steam, massage oil, mask – but no words could depict the deeply relaxing sensory experience that I was about to have. I was particularly happy to hear that post-facial break outs are not a worry: the combination of Janesce’s organic plant-based products and the high level of expertise of Lox’s beauty therapists ensures that the client’s skin will only end up healthier and more radiant post-treatment. With this assurance, I eagerly changed into a robe and cozied up into the treatment chair where Stephanie wrapped a warm blanket around me, tucked in my feet and reclined my seat. Scents of lavender, orange, grapefruit and rose came in waves as Stephanie applied creams, mist, steam and warm compresses. It was a fragrant and floral fruit salad for my skin. For what seemed like hours, I surrendered to a deep relaxation brought on by the essential oils, intoxicating aromas and soothing massage of not only my face, but my head, neck, arms and hands. Despite having gone to a dreamy place of complete calm, I noticed that several of the products Stephanie used were the same as the ones I had lined up in my medicine cabinet – the Janesce soaking drops, hydrating mist, sensitive dehydrated concentrate and skin reviver – yet the application couldn’t have been more distinct. Having an experienced therapist spend an hour and a half applying and massaging these familiar products onto my skin was luxurious – much more luxurious, I would argue, and definitely better smelling, than a truffle-infused facial. What is in an Enzyme Peel? Some of the products were new to me, but one in particular piqued my interest: the enzyme peel. The concept of a chemical facial peel came up repeatedly in my YouTube research session and seemed an incredibly harsh product to use on one’s face – certainly not the sort of thing I wanted on my skin. It didn’t seem the sort of thing Janine Tait, the founder of LOX and a respected champion of the Slow Beauty movement, would want on my skin either. Although I was enjoying Stephanie’s calm and quiet treatment style, I piped up to investigate the enzyme peel. Stephanie explained that it exfoliates the skin, softening and removing dead skin cells. “What’s in it?” I probed. Stephanie listed a few of the peel’s many potent, plant-based ingredients – rose water, lavender, peppermint, carrot seed oil – before revealing that the active enzymatic ingredients are pineapple and papaya extract. Of course, I thought, the main ingredients aren’t only natural, they’re edible! Stephanie went on to explain how she saw great results treating any rogue teenage pimples her children experienced with this natural enzyme peel. I relaxed back into the chair and re-entered the quiet dreamy world I was occupying as the creamy pineapple product went to work on my skin. I had lost any notion of time as Stephanie wound down the treatment and quietly left the room, giving me some time to myself to relax. Afterwards I dreamily made my way back to my little change room where a delicious cup of Eternitea and raw snickers bar were waiting for me. It was a perfectly gentle transition back into the real post-facial world. Immediately after the facial, my skin was moist and clear, but the best results happened in the days and weeks that followed. My skin reached a new height of hydration and looked even, smooth, bright and youthful. The experience instilled in me a desire to slow down my own evening skincare routine, turning it into a mini-facial instead of just going through the motions, keeping up the self-care and skin-love all the way until next month’s facial appointment and beyond. After my initial skincare consultation with Jenny, I take a ‘gap day’. I say goodbye to wine and peanut butter with a final indulgence in each and, the next morning, I wake up, open my bathroom cupboard and eye up my pretty little Janesce bottles. Jenny has written down all my instructions but they aren’t needed. While most meetings these day are fast and furious, hers was quiet and calm which lets me recall her words with ease. I pull bottle number one off the shelf. I fill the bathroom sink with warm water and add two-three drops of my delightfully aromatic rose soaking drops. The scent transforms my small bathroom into a mini-spa. 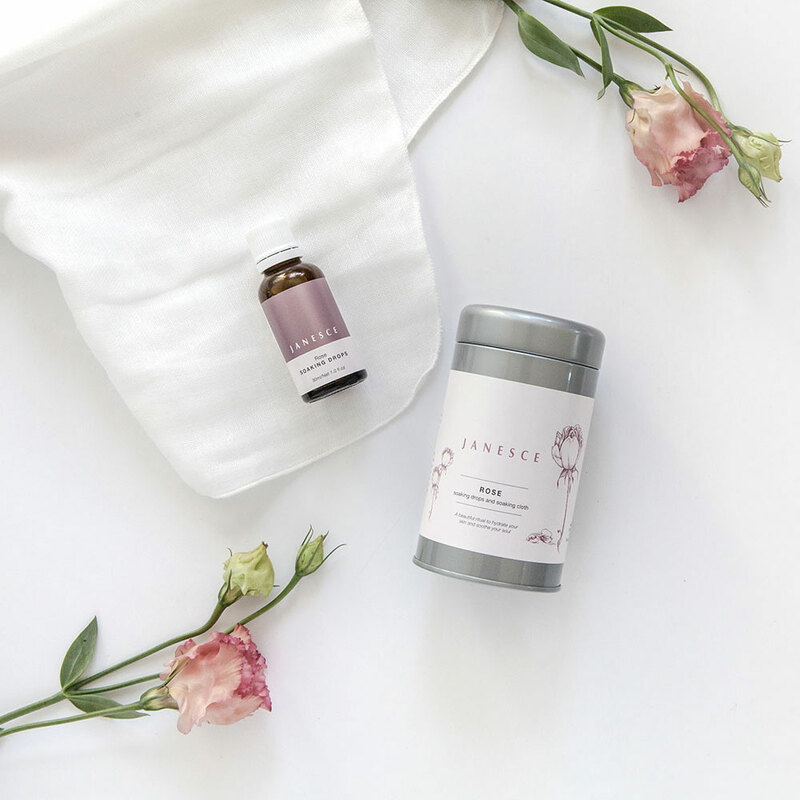 I immerse my Janesce soaking cloth, feeling a little like a princess, and press it to my face allowing that fragrant hydration to soak into my skin. Skin-soaking encourages me to start the day by taking several deep breaths. In contrast to a morning coffee – which, like an alarm clock going off after too many snoozes, makes me feel like I’m already in a hurry – the skin soaking ritual puts me at ease. As important as slowing down is, the benefits of this gentle step go beyond breathing. The warm water re-hydrates the upper layers of my skin, which will help me reap the rewards out of the skincare products to come. Dry skin is my biggest skin complaint and this topical hydration is invaluable for healing and my skin and bringing out a natural glow. Leaving my skin moist, I spritz my rose petal mist onto my face. At point-blank range the spritz gives me a shock, but I will quickly learn to spray at a distance and walk into the mist; a much more soothing way of getting the most out of this hydrating mist! The final step locks in the moisture that the drops and mist have created. Applied to my still damp skin, this light and silky lotion glides onto my skin. There is no residue or heaviness; within moments of applying the skin reviver, it feels as if there’s nothing on my skin at all. My skin feels like my own, but softer, which is a great feeling to have as I head into my day. Apparently most women have dehydrated skin without even realising it. It’s good to know that I’m not alone, but more importantly, that I can do something about it with this simple ritual. 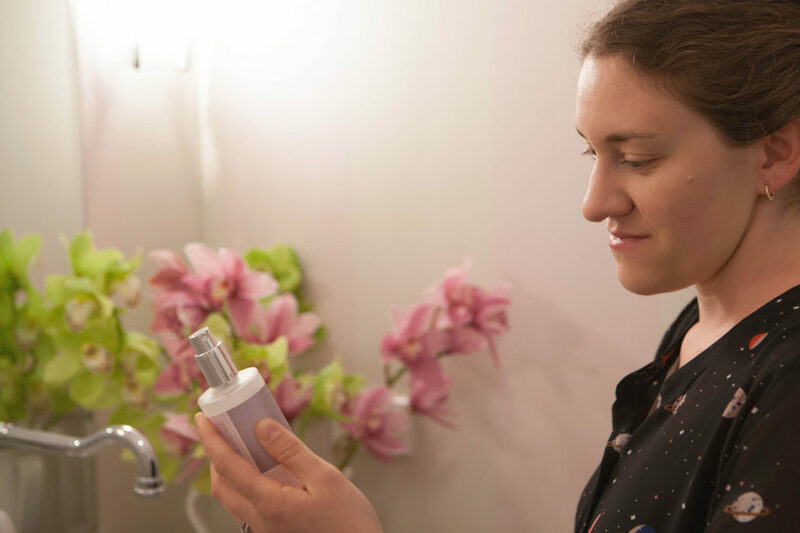 My evening routine is the same as the morning but is preceded with a cleanser to remove the pollutants (make-up, car exhaust, sweat and the like) that accumulate on the skin over the course of any normal day. Between the hints of floral scents that stay with me well into the morning and my new practice of slowing down and caring for my skin, using Janesce immediately makes me feel incredibly feminine. From day one, I know that it will become a daily ritual that I cherish. In under a week, my main skin problem of dry skin and rough patches is gone. After about ten days I notice that my skin feels and looks hydrated in a way that it never has before. This, I believe, is what the therapists at Lox refer to as ‘the Janesce glow’. It brings to mind a Dior ad featuring a dewy-faced Jennifer Lawrence. I’ll be the first to admit that I don’t actually look like Hollywood’s biggest star, but I feel like I look like her and, well, isn’t that just as good? It may sound absurd to anyone who has seen a beauty therapist before, but I was apprehensive about my first ever skincare consultation. I worried that a beauty therapist would wipe off my makeup, stick me under a stark light and pull out a magnifying glass. “Oh, this is not good at all,” I imagined her saying, crashing any illusion that my skin, for all intents and purposes, wasn’t too bad. 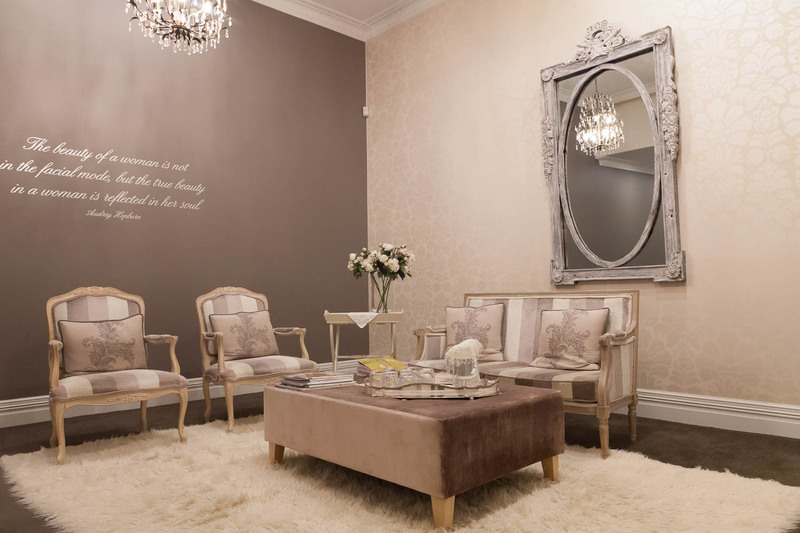 So, when my warm and welcoming Skin Health Coach, Jenny Barrow, from LOX Holistic Beauty in Greerton invited me into a pretty room with ambient lighting, sat next to me on the couch and smiled, my worries began to ease. Ahead of our appointment, I filled out a comprehensive online consultation form. The questions demonstrate LOX Holistic Beauty’s truly holistic focus, enquiring not only about my skin health, but also about my general health, lifestyle and diet. It was clear that Jenny had spent quality time considering my responses in order to tailor the six week ‘Good to Glow’ skin coaching programme around my particular needs. 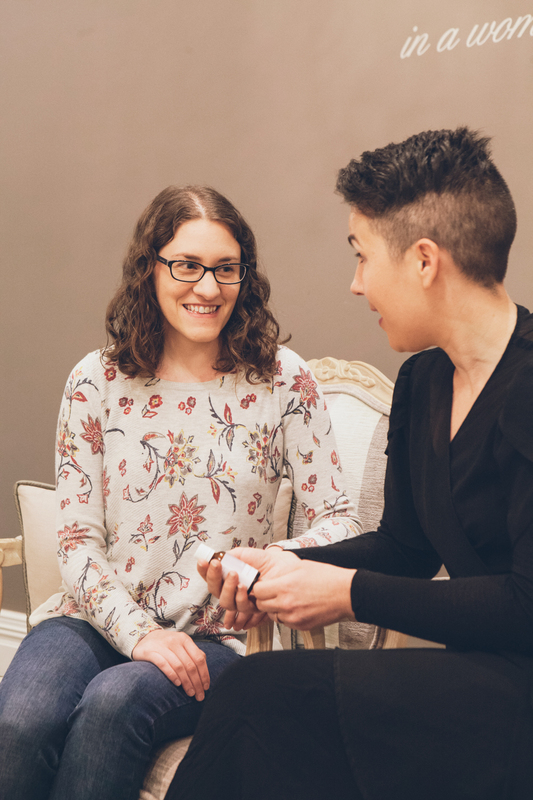 Jenny began our appointment by asking me probing but sensitive questions to get a better understanding of my skin and beauty experience and even shared personal stories of her own journey from stubborn to flawless skin. Instead of having a strict skincare regimen dictated to me, this felt like more like a conversation. Jenny had designed a skin specific programme around my particular lifestyle and needs. She slowly walked me through what was to become my skincare routine, stopping often to share a story, ask a question and make sure that I was comfortable with the process. There are two components to my new skincare routine, the first of which Jenny refers to as the ‘internals’. She explained that healthy skin starts from within, which is why skin nutrition is hallmark of the Slow Beauty movement. I was given dietary advice along with two Bestow Beauty products: Bestow Beauty Oil, an organic flaxseed and safflower oil rich in essential fatty acids, and Bestow Beauty Powder, a super-food powder loaded with skin-nutrition goodness. 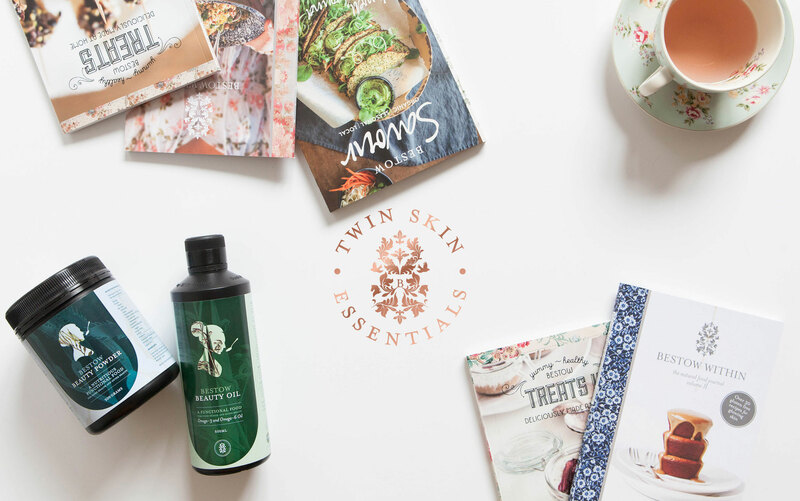 These two products are known as the Twin Skin Essentials because, together, they provide the key nutrients needed to build beautiful skin. Of course, the other half of the equation is the outer layer of the skin, which is where Janesce’s powerful organic, plant-based products come in. Since I currently use nothing more than soap and coconut oil on my skin, discussing products is where my blood pressure started to rise. 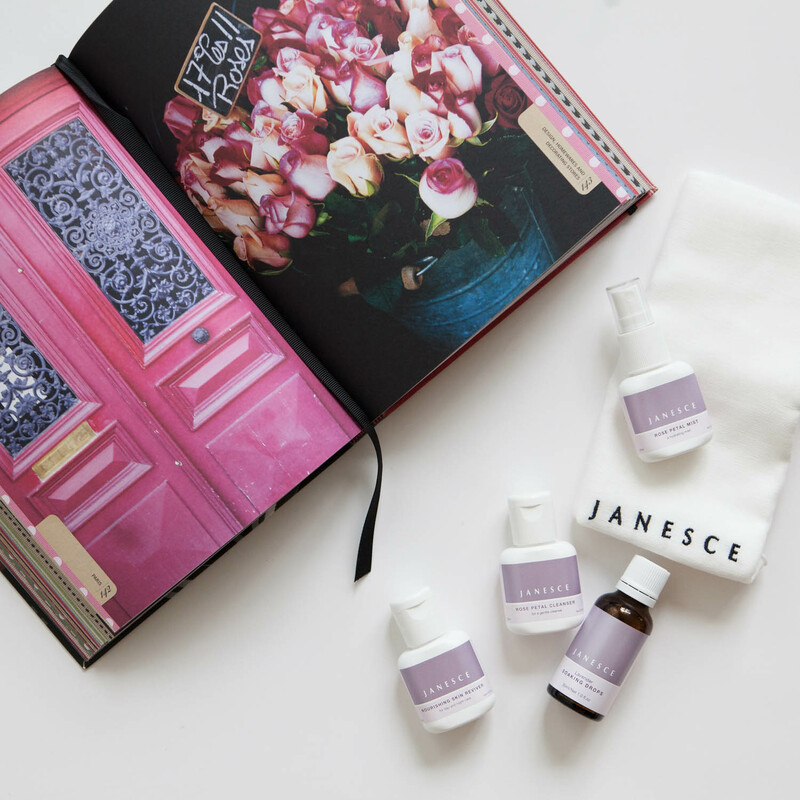 Luckily, my Janesce skincare introductory pack was not at all daunting – in fact, it was small enough to fit in my handbag. I got to choose my own scent preference (rose!) and was presented with four tiny bottles that hold only 25 mls each. That these miniature bottles will last two to three months speaks volumes to the high quality and concentrated nature of Janesce. My pack includes soaking drops, a cleanser, mist and a skin reviver as well as a soaking cloth and user-friendly instructions. Contrary to my fears, my initial consultation was a gentle, welcoming meeting, filling me with excitement around creating space in my life to slow down and cultivate daily nourishing rituals that will take my skin from good to glow. Paying more attention to my diet and incorporating my two new nourishing Bestow Beauty products. I’m especially hopeful that the Bestow Beauty Oil will slot into my diet more easily than the bag of ground flaxseed that has been sitting in my fridge untouched for months. 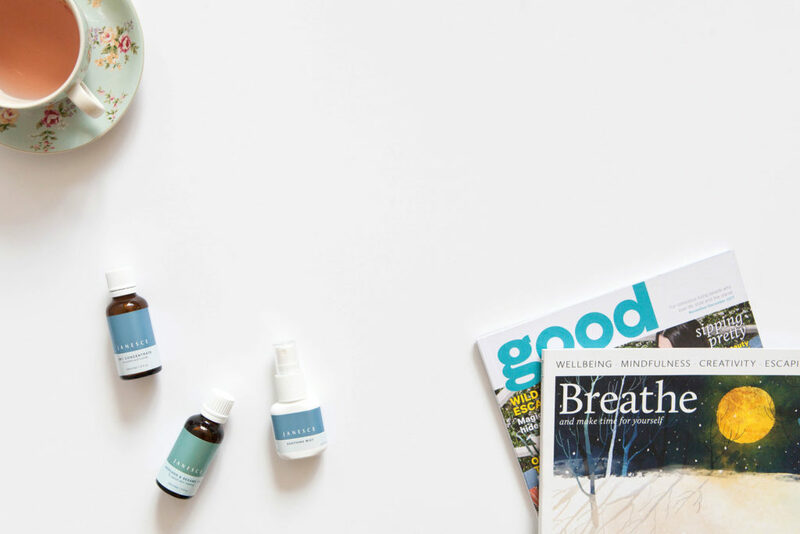 I’m excited to have a daily self-care routine and I’m excited that this Slow Beauty approach fits into my appreciation for the Slow Living Movement. Not eating peanut butter! Jenny has promised that, after my initial introduction, I can add my favourite food back into my diet on occasion, but for now, I’m going cold turkey on the peanuts and that is incredibly daunting! Cutting out wine isn’t a huge deal to me as I’m not a big drinker, but it will make social situations a tad more difficult. Will my skin improve? Will I enjoy the process and the daily rituals? Will I be able to live without peanut butter? When it comes to beauty therapy, I am a 30-year-old novice. 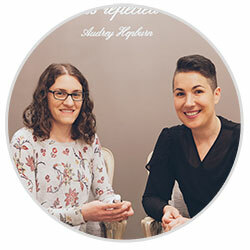 I have friends, colleagues and clients in the beauty therapy world – smart women with enviable skin – and, as a writer, I have even interviewed beauty therapists. Yet when it comes to my own skin, I have always shied away from any type of treatment. 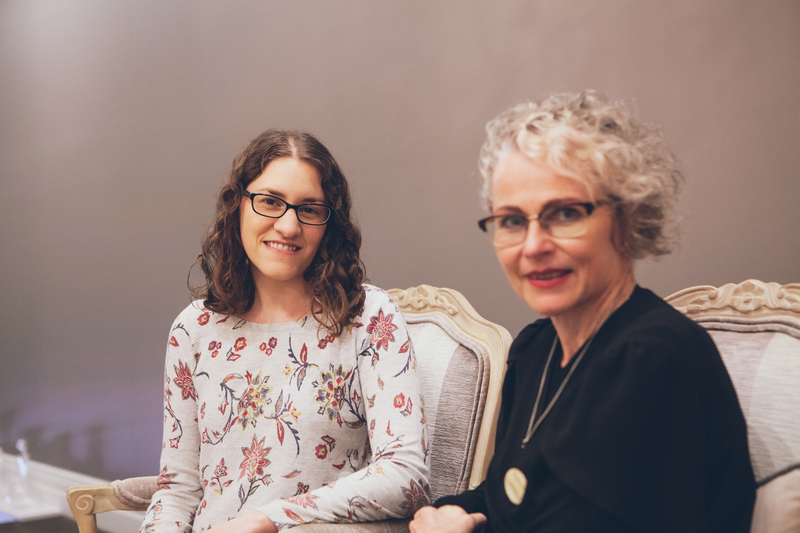 As I embark on a skincare journey with my holistic Skin Health Coach, Jenny Barrow, at Lox Holistic Beauty in Greerton, I find myself curious about my history of avoiding beauty products. I cast my mind back to my childhood. Growing up I was a tomboy: I played soccer, jumped in puddles and cried whenever my mother put me in a dress. As I got older, I embraced my feminine side and began to relish dresses, learned to tame my unruly curls (it’s an on-going process) and curled my eyelashes. But skincare remained unchartered territory. Just last year, Janine Tait generously offered me a complimentary facial as a wedding present ahead of my nuptials in September. I eagerly booked in only to chicken out a couple days later: two weeks before my wedding, I reasoned, is not the time to experiment with my skin! I’ve always had a no-frills, ‘if it ain’t broke, don’t fix it’ attitude towards my skin. I am fairly lucky: despite using nothing more than coconut oil, my skin isn’t too bad. I have occasional dry patches, the odd pimple and a few frustrating but supposedly harmless cherry angiomas (pinprick-sized red dots), but generally my skin is fine. I eat well, drink plenty of water and exercise and I’ve always seen this as a sufficient skin-supporting regime. 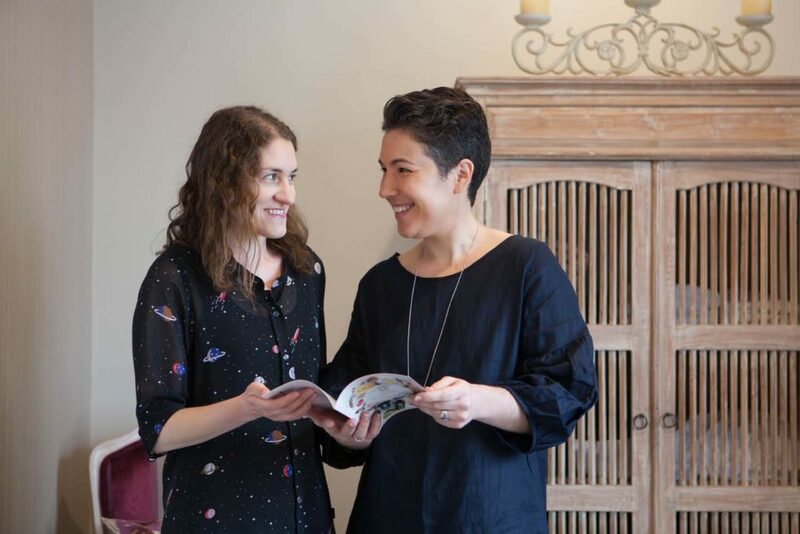 When I was offered the chance to write about my experience undertaking a six week ‘Good to Glow’ skin coaching programme with Jenny Barrow at LOX, I jumped at the opportunity. I just turned thirty. Suddenly I have a softer middle, need meditation music to fall asleep and can’t handle more than one glass of wine. 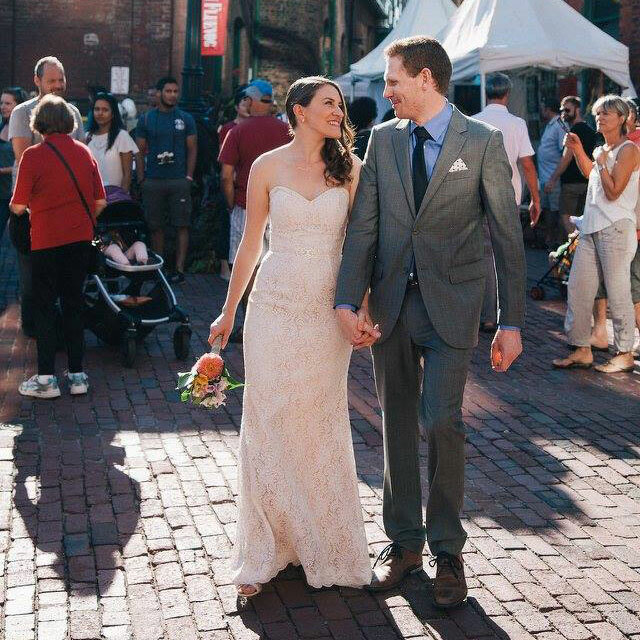 I’ve had a great but full-on year, complete with a wedding and a career change. As I enter my fourth decade of life, I realise that I need to start nurturing myself. I need not only to nourish my body, but also nourish my soul. Beginning with my skin – the barrier between the inner and outer worlds – seems like the perfect place to start.